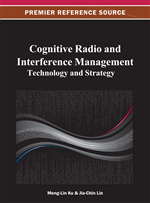 The cognitive radio has been widely investigated to support modern wireless applications. To exploit the spectrum vacancies in cognitive radios, the chapter considers the collaborative spectrum sensing by multiple sensor nodes in the likelihood ratio test (LRT) frameworks. In this chapter, the functions of sensors can be served through the cooperative regular nodes in the cognitive radio, or the specifically deployed sensor nodes for spectrum sensing. In the LRT, the sensors make individual decisions. These individual decisions are then transmitted to the fusion center to make the final decision, which provides better detection accuracy than the individual sensor decisions. The author provides the lowered-bounded probability of detection (LBPD) criterion as an alternative criterion to the conventional Neyman-Pearson (NP) criterion. In the LBPD criterion, the detector pursues the minimization of the probability of false alarm while maintaining the probability of detection above the pre-defined value. In cognitive radios, the LBPD criterion limits the probabilities of channel conflicts to the primary users. Under the NP and LBPD criteria, the chapter provides explicit algorithms to solve the LRT fusion rules, the probability of false alarm, and the probability of detection for the fusion center. The fusion rules generated by the algorithms are optimal under the specified criteria. In the spectrum sensing, the fading channels influence the detection accuracies. The chapter investigates the single-sensor detection and collaborative detections of multiple sensors under various fading channels and derives testing statistics of the LRT with known fading statistics. The spectrum sensing scenario in the sensor networks is described as follows. A cognitive radio network with N secondary users is deployed. The N secondary users form a sensor network to detect the spectrum vacancies. Each secondary user conducts local detections using energy detection, matched filter detection, or feature detection. Each secondary user decides either (channel vacant) or (channel occupied). The probabilities of the local false alarm are denoted as , where represents the probability of false alarm of the i-th user. The probabilities of detection are denoted as , where represents the probability of detection of the i-th user. The local decisions of the users are denoted as . The takes the value -1 when the local decision of the i-th user is the hypothesis , meaning the channel is vacant. The takes the value 1 when the local decision of the i-th user is the hypothesis , meaning the channel is occupied by the primary users. The , , and are abbreviated as , , and respectively. All possible realizations of constitute the space containing all possible N-bit sequences, denoted as . The realization of is denoted as , abbreviated as .